How do I deal with my GST? Although the GST has been around since July 2000, many businesses are facing it for the first time – either because they are newly established or because recent changes in their turnover have forced them to register. For these businesses, there are many things to consider in the GST arena. What can I claim GST on? How do I claim back GST? What are GST Free supplies? What are Input Taxed supplies? What does cash and accrual mean and how does it apply to me? What GST records do I need to keep? How can a bookkeeper help with my GST? 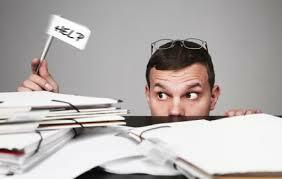 An experienced and qualified bookkeeper can answer all of these questions and keep you on track. There’s a common misconception that you’ll lose control if you outsource to a contract bookkeeper – this is not the case! Whether your books are ship shape, to slap happy, for the most part your customers will never know. However, a generally accepted rule in business is to focus resources on tasks that add value to your customer relationship. Time spent doing the books and working out your GST obligations adds little or no value to your customer relationships. Accounts that are inaccurate or non-reflective of the true health of your business provide you with no clue as to how your business is actually going – just because you’re busy doesn’t mean you’re profitable, or cash flow positive! Being clueless at any level about where you are making money or who is a good customer, is not being in control. Poor cash flow is never the only problem in business – it is a symptom of other problems. Having good bookkeeping policies in your business can help you regain that control. How do you prepare my GST and BAS? 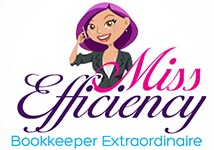 Miss Efficiency Bookkeeping can do all the bookkeeping from data entry and reconciliations, preparing reports and liaising with your accountant, paying your staff and suppliers, even organising your office! GST isn’t actually that difficult when you know what you’re doing, and we’re very careful about setting the groundwork up correctly to begin with which means that the actual preparation of the BAS is quite straight forward. We’ll register as your BAS Agent (with your permission of course) which means that we’ll be able to lodge your BAS electronically. This means that you’ll generally have an additional four weeks to pay which is great – money is better in your pocket for as long as it can be! So don’t be scared of GST, contact us and we’ll help you get it under control!